You are about to witness how 12 deranged individuals turned their darkest fantasies into a reality! What drives a mother to shoot her two daughters at the dinner table? Why would a petite woman shoot-up the grocery store where she worked and murder one of her co-workers? And why would an on-duty police officer commit three murders and an armed robbery? List of Twelve Volume 1 examines these and other horrific crimes and delves deep into the grotesque thinking of the monstrous individuals who perpetrated them. Twelve murders are profiled, and each profile offers a personal background of the offender, a detailed description of the crime, the investigation that ensued and the eventual sentencing. Included are profiles of Robert Beaver, an 18-year-old who massacred his entire family, and the bizarre life of Luke Magnotta, who videotaped himself stabbing a man to death with an ice pick and then mailed his body parts to political offices and schools. 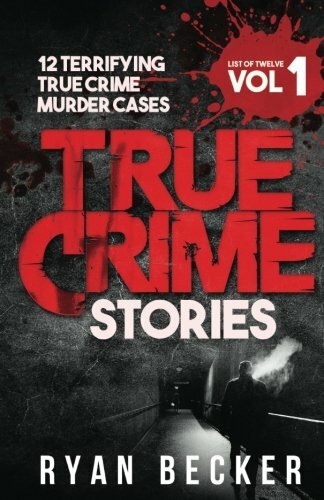 Unlike other books on the subject, List of Twelve Volume 1 takes the reader right into the dark minds of the murderers, so you can better understand why they committed their crimes.